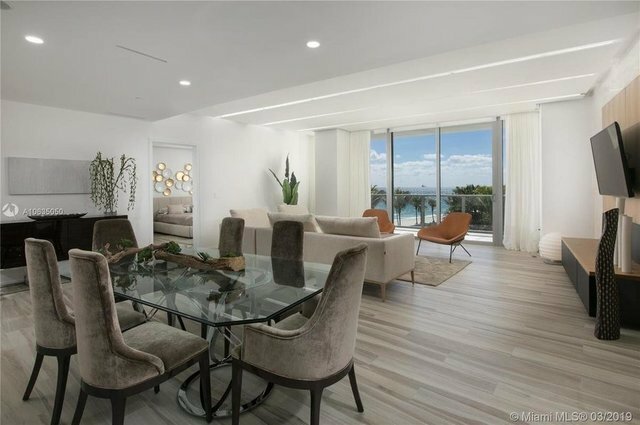 UNIQUE AND FULLY TURN- KEY 2BR | 2.5 BA RESIDENCE WITH DIRECT OCEAN VIEWS FROM EVERY ROOM. CUSTOM DESIGN FINISHES TO NAME A FEW INCLUDE LIGHTING, ARCHITECTURAL ELEMENTS, LINEAR DIFFUSERS, ITALIAN KITCHEN COMBINED WITH EXQUISITE ITALIAN FURNISHINGS BESTOW AN ELEGANT MINIMALISTIC STYLE TO THE SPACE. PERFECTLY LOCATED DIRECTLY ON 450 LINEAR FT OF BEACHFRONT, AUBERGE BEACH RESIDENCES OFFERS THE ULTIMATE IN LUXURY LIVING. AMENITIES INCLUDE WORLD CLASS AUBERGE BRANDED DINING AND SPA, NAPA VALLEY ROOM, CIGAR LOUNGE, GOLF SIMULATOR ROOM , SCREENING ROOM, STATE OF THE ART GYM, CHILDREN'S PLAY ROOM ,TEEN ROOM, PERSONALIZED CONCIERGE SERVICE AND A COLLECTION OF CURATED ART ADDS TO THE LEVEL OF SOPHISTICATION THAT RESIDENTS WILL ENJOY LIVING LIFE TO THE FULLEST.